Lots of dog breeds originated from Ireland, so let’s shine a spotlight on them in honor of St. Paddy’s Day. 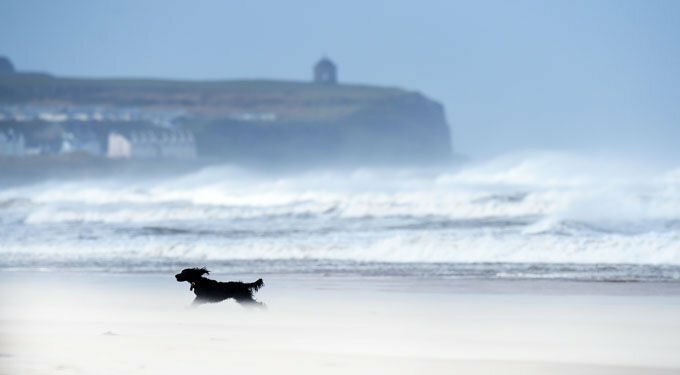 Oh, and if dog breeds aren’t of interest to you, how about some Irish dog names that could be perfect for your pooch–even if only for today? Click here to find out the best Irish dog names! Without further ado, here are a few of the lucky Irish dog breeds who will be smiling on Saint Patrick’s Day! 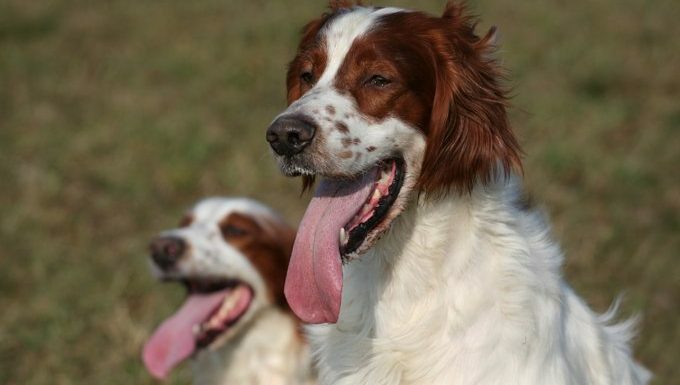 The Irish Red and White Setter is a dog breed that almost ceased to exist, as breeders once focused on the all-red variety. 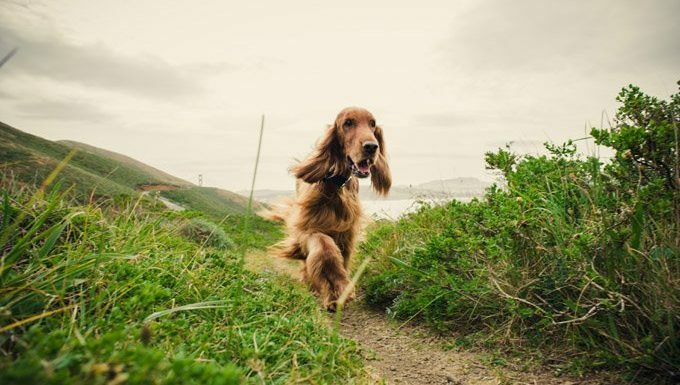 Now they’re considered a separate breed from their Irish Setter cousins, and they’re very loyal and reliable companions. Originally bred as a gundog, the Irish Setter specializes in retrieving game for hunters. They’re friendly and loyal family members, though they also have a mischievous side. 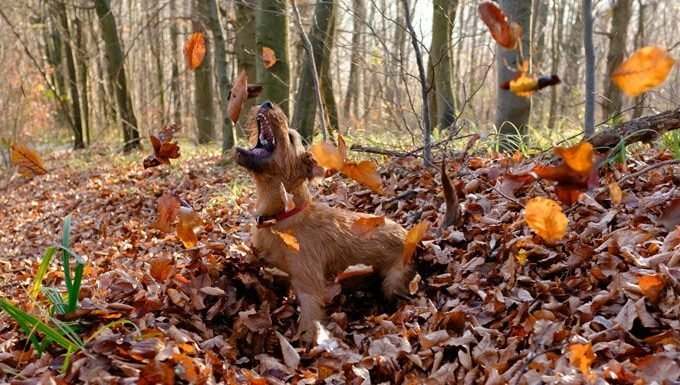 Nicknamed the “Daredevil,” the Irish Terrier dog breed is fiercely loyal, protective, and will take on anything that threatens loved ones. They make good watch dogs and will keep any rodents away while they’re at it. 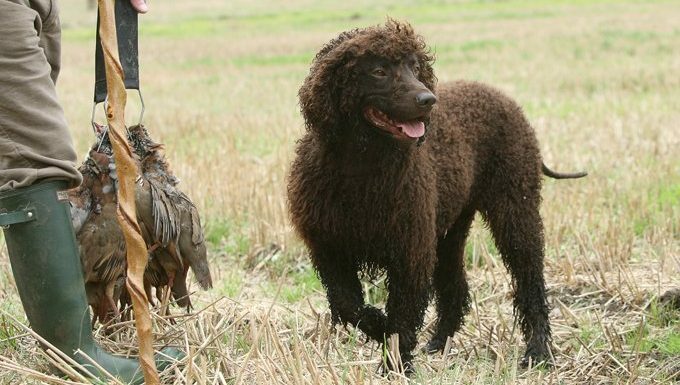 A rare dog that was bred to be a water retriever, the Irish Water Spaniel loves to swim and chase ducks. They’d also love a home close to the water where they can play. 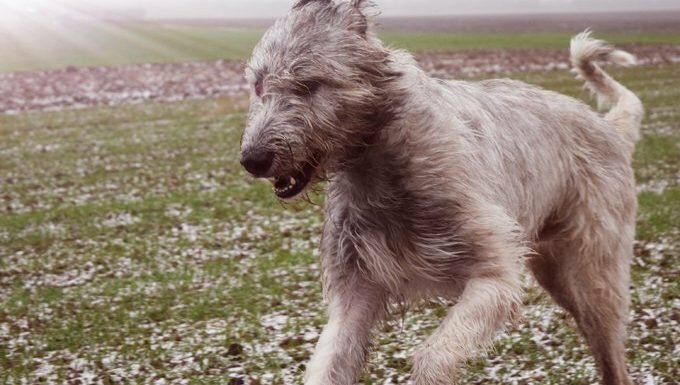 Originally used during wartime to drag men off chariots and horses, Irish Wolfhounds now spend most of their time as big, lovable companions. They need a lot of space to run around, and they’ll certainly chase any wildlife that wanders into their territory. There are many other breeds of Irish dogs not listed here. Do you have one? What breed do you have? Let us know in the comments below, and have a happy Saint Patrick’s Day!